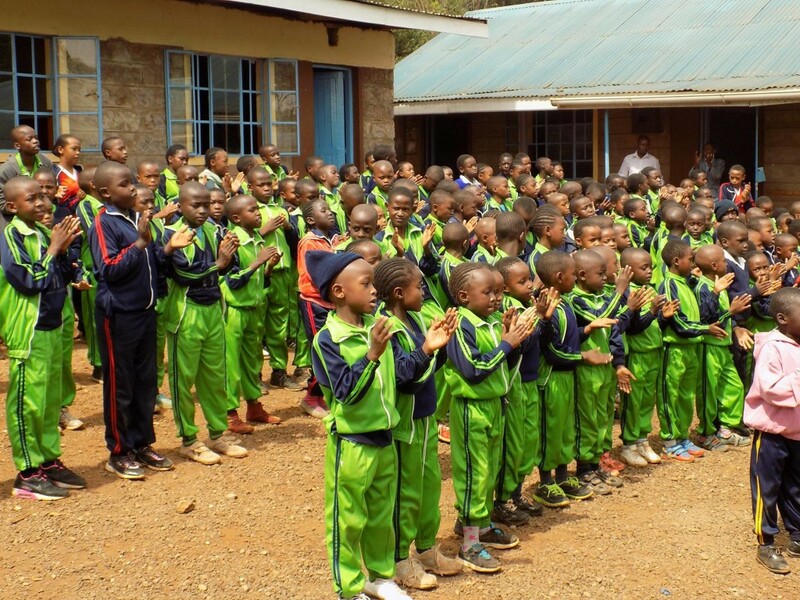 One of the most exciting parts of every day at Tenderfeet is the morning assembly. All the kids come together for the pledge, songs, and encouragement from teachers. The kids all know the pledge to the Kenyan flag. A flagpole was installed a few years ago and now proudly displays the national flag. Tenderfeet kids love to sing. They know numerous educational songs, many emphasize self-esteem and the important role of learning. Singing is done enthusiastically, with lots of fun movement. Teachers also speak to the students about academic achievement, good conduct, and treating others with respect. It’s inspiring indeed to hear what they have to say to the students. This entry was posted on Sunday, April 8th, 2018 at 12:45 pm	and is filed under School Updates >. You can follow any responses to this entry through the RSS 2.0 feed. You can leave a response, or trackback from your own site.